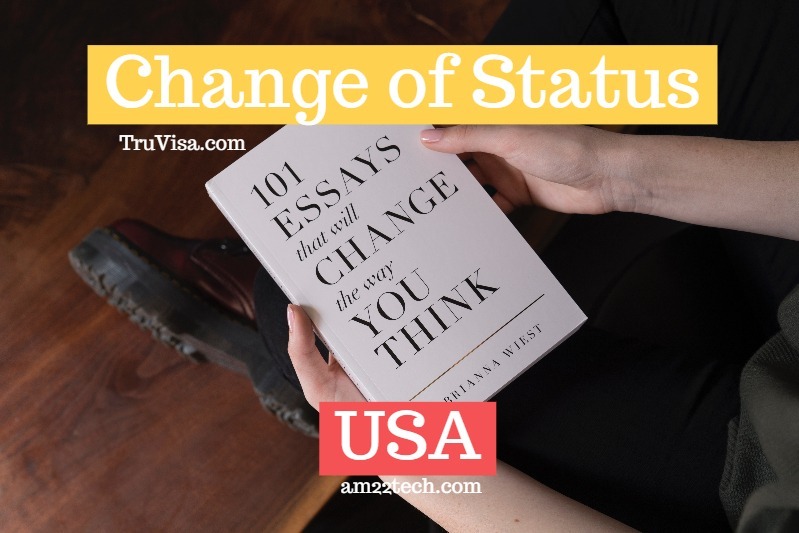 If you want to change the purpose of your stay in USA from the one you gave at the port of entry to immigration officer, you have to file a ‘Change of status’ application with USCIS. Your status is mentioned and governed by your i94. Example: If you entered USA on H1B visa, your status = H1B. Your dependent spouse and kids would have the status as H4. Check their i94 and you should be able to verify. Is Change of Status applicable from USCIS receipt date? No. Your i94 status does not change until USCIS approves your COS application. Until you receive approval (i797 and new i94) from USCIS, do not assume the status has been approved and do not change your activity while your are in USA. H1B to H4 COS, Can I keep working until H4 is approved? If you are filing to change your status from current H1B to H4 (Dependent), you can work using your H1B until the H4 COS application has been actually approved by USCIS. Apply as soon as you need to change to a different visa category and before your i94 expires. Recommended = 45 days before i94 expiry. H4 to H1B Transfer with change of status (COS), start working from receipt date? No, you cannot legally start working based on H1B Change of Status receipt number if you are currently on H4 status in USA. The H1B transfer with change of status should be approved first to change your status from H4 to H1B to start working. Your employer should file a Form I-129, Petition for a Nonimmigrant Worker, before your Form I-94 expires. Premium processing (result in 15 calendar days including RFE) is available unless it has been specifically suspended. In 2018, H1B premium processing was suspended for all H1B transfer, extension and amendment applications temporarily. Dependent’s change of status If your dependents (spouse and child < 21) also want to change status to remain as your dependents based on your new work status application (like H4 dependent for H1B), they need to file Form I-539. It is recommended to file the I-129 and I-539 forms together so that they can be worked-on at the same time. Remember, though, that they are separate applications and need separate supporting documents. You should file Form I-539. Check current H4 and L2 Change of Status processing time. Filed COS before i94 expiry, Now I-94 expired, USCIS decision pending? Your status ends and you are out of status once your I-94 expires, even if you have applied to change your status BEFORE i94 expiry. Even though you are not actually in a lawful status, you do not accrue “unlawful presence” while your change of status application is pending if it was filed prior to I-94 expiry. Example, If you are currently on H1B visa and filed #h1b-extension AND H4 Change of status application before i94 expiry, you can still stay and work in US upto 240 days, as per USCIS rule. If your H4 COS is approved before H1B extension, your status will change to H4. If your H1B extension is approved before H4 COS, your status will remain H1B until your H4 COS is approved. Once approved, the change of status will relate back to the date your I-94 expired, and your status during the pendency of your application will then be considered to have been lawful. If COS application is approved BEFORE i94 expiry, the new status validity will start from date of approval. You will receive a new i797 notice of approval with a new i94 attached to it with approval start and end date. There is no need for visa stamping unless you plan to go out of USA. Once you are out, you will need a new visa stamp for your current visa category that you plan to use to re-enter. Any non-immigrant visa in your passport granted in connection with your classification becomes void. If USCIS denies your COS application, your status remains the same as the current one. Example, If you are currently on H4 status and apply for change of status to H1B and it is denied by USCIS, your status will continue to be H4 dependent. This could have serious implications with USCIS’s NTA forceful deportation policy even if you have an application for change of status pending. You do not need to apply to apply for change of status if you entered USA for business reasons (B-1 visa category) and you wish to remain in the United States for pleasure before your authorized stay expires. B1 and B2 are part of same visa and you can use it for either purpose. F, M Academic (F visa) or vocational (M visa) students (you may attend elementary, middle or high school only: if you want to attend post-secondary school full-time you must apply for a change of status). If you entered US with any of these visa category, you cannot apply for COS while you are in USA. If you are in any of the above categories, you must leave USA on or before the date your I-94 expires and re-enter with desired new visa category.